As of May 28, 2018, it is no longer possible to post anonymous Google reviews. In addition, Google has deleted all previously-posted anonymous reviews. This change represents a larger shift in the landscape by Google and other review platforms. We’ll discuss how Google’s policies have changed, what this means for you, and how businesses and customers can both benefit from this change. Some of you might remember a time when it was easy to leave a review of any business without leaving any personal information. There was no sign-in or authentication required. On some platforms, you could leave a review with a fake name like “Mickey Mouse” without a problem. Though it might feel like ancient history, it really wasn’t too long ago. Prior to 2013, Google allowed all users to leave anonymous reviews. This format was problematic. Competitors could hypothetically leave dozens of fake reviews on a rival’s page. Business owners wouldn’t know where these reviews were coming from. In 2013, Google decided to make the process of leaving anonymous reviews subject to more regulation. This was partially a response to complaints by business owners. Anonymous reviews were still allowed, but the process of leaving one was harder than before. In order to post anonymous reviews, customers were required to use Google+. Anonymous reviews appeared posted as “A Google User” on Google My Business profiles. Since the primary account was connected to Google, there was somewhat more accountability than the previous system. Still, business owners would often have no idea if the person who left the review was a real customer. Last year, anonymous Google reviews officially became a thing of the past. Google now requires reviewers to show a name when leaving feedback. Are Other Platforms Shifting Away from Anonymous Reviews? Google isn’t the only review platform that has decided to shift away from anonymous reviews. Almost every review platform is taking steps to ensure that reviews are coming from real customers. At G4H, our review policies have followed a similar trajectory to Google’s. G4H profiles, which display local business reviews from all over the Internet, once allowed customers to submit reviews without leaving a name. In the past year, we’ve launched new features in order to ensure authenticity in our reviews. We now require user authentication with a Google or Facebook login. We’ve also introduced tighter review content relevance requirements and enhanced spam and slander detection algorithms. These are all part of our attempts to make sure that businesses and customers can be sure that every review that they look at is based on a real experience. It’s not just Google and it’s not just G4H. The entire review ecosystem is transitioning away from the anonymous review model. The reason for this change can be summed up in two words: trust economy. What is the Trust Economy? So what do anonymous reviews have to do with the trust economy? First, let’s take a step back and talk about what the trust economy is. In the trust economy, customers make transactions with businesses and institutions that they feel comfortable dealing with. Maybe you heard good things about a certain restaurant from one of your friends. You check out the restaurant because you trust your friend’s judgment. Nowadays, review platforms make it easier for customers to trust businesses they haven’t tried before. You’re comfortable getting into a stranger’s car because you can see his reviews on Uber. You try out a new barber shop after seeing high reviews on Google. The trust economy is not a new concept. It’s as old as business itself. The exchange of goods and services has always required an underlying foundation of trust. Customers have traditionally done their best to avoid businesses with bad reputations. In the age of online reviews, customers can gauge a business’s reputation more easily than ever. A business’s reputation is now easily accessible for anyone, not just by those lucky enough to hear about previous customer experiences through word-of-mouth. That’s not all that has changed. Businesses also have direct access to customer opinion. When a customer leaves a negative review, businesses can use this as constructive feedback and improve their overall customer experience. The trust economy allows businesses to turn feedback into action. Anonymous reviews made the whole review ecosystem harder to trust. Customers could not know if the reviews they were reading reflected real experiences and businesses could not know if the reviews they were reading were from real customers. For the trust economy to function properly, customers need to be able to trust reviews. Customers will only trust online reviews if it’s clear the reviews are authentic and represent an unbiased view of the business. Trustworthy reviews benefit both businesses and customers, which is why preserving an authentic review ecosystem is important. When you see reviews that have been left by “A Google User”, it’s harder to trust that review over one with a real name. With anonymous reviews, the foundation of the entire trust economy is eroded. More importantly, businesses cannot effectively respond to feedback if it’s left from an anonymous reviewer. When a business cannot see the name of a customer, they cannot reach out and make attempts to understand the complaint and solve the problem. How Else Has the Review Landscape Shifted Towards the Trust Economy? Ending anonymous Google reviews wasn’t the only policy change that Google made last year. In April 2018, Google officially ended the practice of “review gating”. This is when businesses selectively request reviews from customers who they are sure will leave a positive review. Just like anonymous reviews, review gating went against the foundations of the trust economy. Review gating could lead to a positive bias towards reviews. If reviews were biased, then customers not trust them. Because of Google’s new review gating policy, businesses need to make an effort to ask all customers for feedback, not just a select group. It’s now prohibited for businesses to offer incentives, such as discounts, to customers who leave a review. After all, these practices motivate customers to leave positive reviews, not unbiased reviews. The transition to the trust economy does come with a few setbacks. Yes, it’s a little bit more difficult for customers to leave reviews. Yes, businesses are being forced to change old practices like offering incentives for customers to leave reviews. Some people might be complaining about these changes. In the big picture, this shift towards the trust economy is a good thing for both consumers and business owners. Research shows that 92% of customers look at reviews before making a purchase decision. Google’s policy changes have allowed these customers to have more trust in these reviews than ever before. A trustworthy review ecosystem allows businesses to collect real insights from real customers. Now when a business sees a negative review on their Google My Business page, they can reach out to the customer and prevent the same problem from happening again. This would have been a lot harder to do before last year when customers still had the option to leave anonymous reviews. The end of anonymous reviews is just one part of a much larger shift. To win in the trust economy, businesses need to stay on top of feedback and maintain customer trust. Here are a couple of things you can do to stay ahead of the curve. Send automated review request emails or texts to all your customers. 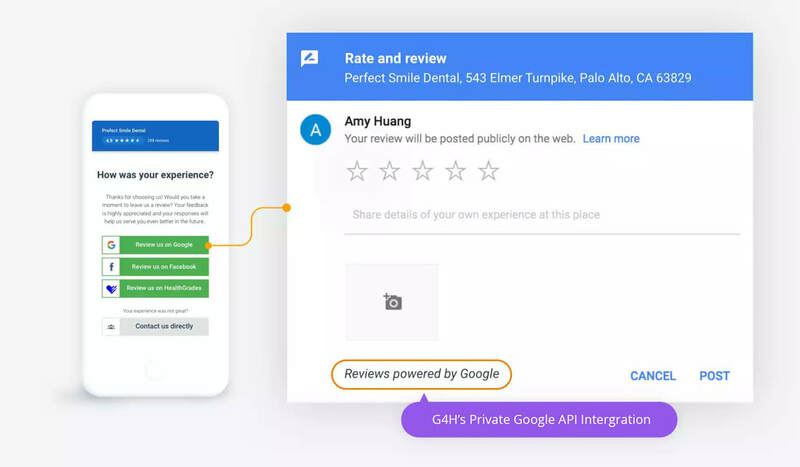 Since review gating is now prohibited by Google’s policies, you need to ask all of your customers for reviews. With G4H’s automated review requests, you can send a text or email to your customers as soon as they have left the building. Automated review requests allow you to collect genuine, authentic customer reviews. It’s true that you might get a negative review here and there, but don’t panic. Studies show that customers trust businesses with some negative reviews more than businesses with all positive reviews. Use customer surveys to collect authentic feedback. In the trust economy, businesses need to collect feedback from their customers to ensure that their business is providing the best customer experience possible. 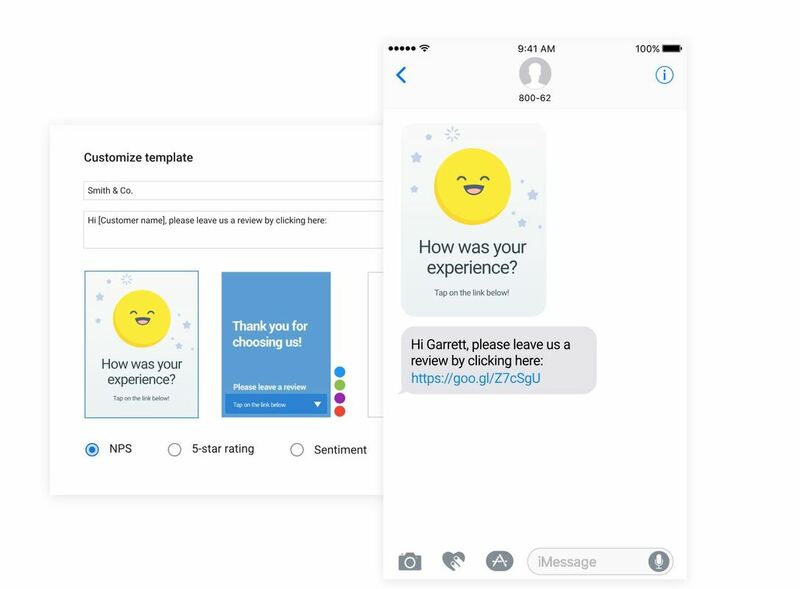 G4H allows businesses to do this with automated NPS surveys. NPS surveys allow you to how customers are ranking your business on a 0-10 scale. Your “promoters” will rank your business as a 9 or 10, while passives rank it as a 7 or 8 and detractors rank it as a 0 to 7. You have the option of directly asking detractors how they think the customer experience can be improved. At G4H, we are strong supporters of the trust economy. We are dedicated to preserving an authentic review ecosystem for both businesses and customers. Using G4H, businesses can get authentic reviews from customers and use this feedback to improve customer experience. Customers can be sure that the reviews that help them make purchase decisions reflect genuine experiences. Everybody wins. More than 50,000 businesses use G4H to get ahead in the trust economy. Click here to see how G4H can help you get more reviews and improve customer experience. Every growing business should be aware of what their customers think about their services. Real-time customer feedback can help you deliver quality services to your customers and result in greater success for your business. When it comes to real-time customer feedback, the internet is the hub of such activities. And thanks to the mobile era, the frequency, and scale at which customers express their opinions and ideas online has gone up massively. 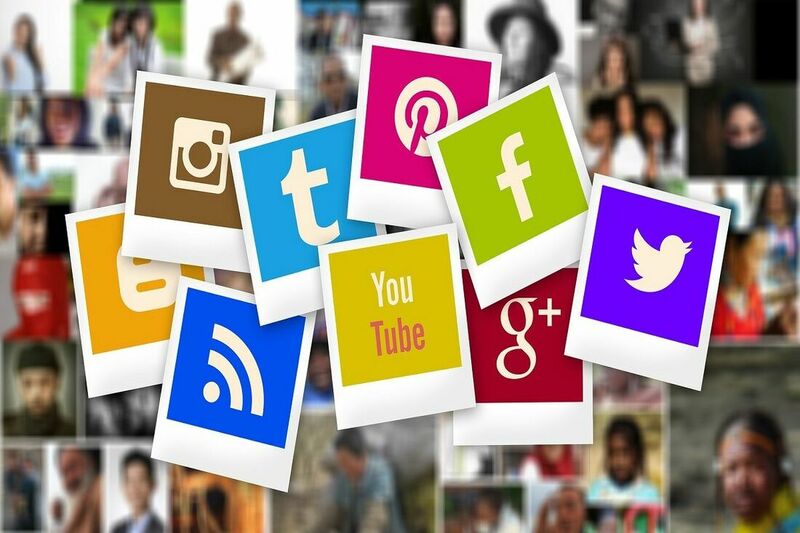 Because your customers are constantly sharing their views about your services through online reviews, comments, posts, and tweets on popular social media platforms such as Facebook, Twitter, Instagram, among others. If you own a business, customer feedback is all the more important for you as it clearly states the customer satisfaction towards your business. The scale and nature of customer feedback can have far-reaching effects in determining the success of your business. Customer feedback provides an unbiased view of your business. It is written by clients who have availed your services and reveal their actual experience. Such feedback helps your prospective clients in understanding what you are capable of delivering in terms of quality, efficiency and client satisfaction. So, this influences the purchasing decisions of your prospective clients in a big way. When your potential clients are trying to learn more about your business and come across numerous instances of good feedback, it will make your business appear more trustworthy. Your online customer reviews serve as personal recommendations for your business. They often seem more credible than the claims you make about your services on your business website. Customer feedback about your business also works behind the scenes to make your business more visible on Google search results by improving your SEO (search engine optimization). Recency of your online customer reviews is an important factor here because search engines tend to pick content that is fresh and relevant to a user’s search or query. Google gives 9.8% weight to online customer reviews while assigning ranks on search. from the sales point of view, positive feedback about your business drives potential clients to choose your business over your competitors. Good customer reviews have a strong power of influencing a prospective client’s decision about booking service from your business. So, when your potential clients read several good reviews about you, they’re more likely to get in touch with you with a business query or a direct booking. Just like positive feedback increases the chances of bringing in new clients for your business, negative cases present the opposite scenario. Online feedback is a form of user-generated content for which you don’t have to incur any additional costs. Since your customers are creating the content, it means fewer efforts from you but more benefits for your business. In simple words, getting online reviews means that your clients are actually marketing your business. This is a great advantage for small and growing businesses, which do not have the budget or resources for high-level marketing activities. With online customer feedback, you’re able to create greater awareness for your business without making any direct efforts on your own. But please bear in mind, this does not mean that you can buy customer reviews. Mostly, online reviews are overlooked as just ‘star ratings’. In reality, they are much more than that. Apart from being rated between ‘one’ and ‘five’ stars, online ratings comprise of important ‘keywords’. These keywords indicate those words which are commonly used by your customers. When viewed in isolation, they may not mean much to your business. But when grouped together, these keywords can give you deeper insights into the customer sentiment towards your business. Businesses should aim at receiving customer feedback continuously. Recency of customer feedback makes it more meaningful and helps you stay more relevant. While getting customer feedback for your business can have a tremendous impact on enhancing the online reputation of your business, the job is easier said than done. Even if your clients are happy with your services, it’s a struggle to get them interested in writing their feedback online. If you try too hard to persuade them with a review request, chances are that they might find you pushy and intrusive. The good news is, there are many effective ways of soliciting reviews from your clients without being intrusive. We recommend these seven guidelines that need to be followed while seeking customer feedback for your business. 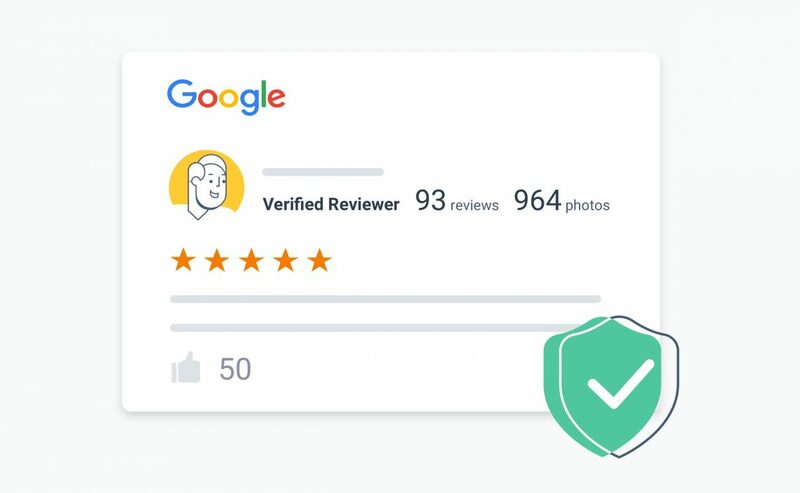 Identify the top review sites online (like Google reviews) and register with them by setting up your business account that contains all your important details. Make sure that you mention your business name correctly along with a short description of your services, location, contact details, website link and links to your social media profiles on Facebook, Twitter, LinkedIn, Google+, Instagram, etc. Having a business profile on Google My Business and other popular listing websites is a must as these online portals serve as a common platform for customers who want to voice their opinions online. When your business is listed across these review sites, it makes it easier for your customers to find you online and share their experience. This is the simplest things to do if you have the email addresses of your customers. But make sure that you follow these steps in order to create maximum impact with your review solicitation email. Choose a subject line that starts with your business name and includes a question to keep the tone more conversational rather than a standard line. Using your business logo and name on your email adds a professional touch to your review solicitation request. It helps your clients identify your business and distinguishes it from the email clutter in their inbox. The subject line is the most important part of your email as it is the first thing your clients will read. Your clients are more likely to open your email if the subject line resonates with them. Your message needs to be simple and clear. All you have to do is to write down a meaningful and personalized message that conveys your interest in receiving honest feedback from your customers. Tell your customers that you value their feedback and will use it to improve your services in the future. End your message with a thankful message from the team or CEO of your business. Nowadays, it’s become a common practice to send these emails out on behalf of the CEO of the business as it adds a personal touch and makes customers feel important. Without a CTA, the entire exercise is redundant. Remember, your sole purpose is to pique the interest of your clients and direct them to the websites where you want them to write you a review. Make sure that you add a call-to-action (CTA) button at the end of the mail so that your customers are directed to the review website when they click on it. Tip: You can also use a banner image on your email to make it look more attractive. Pick a picture that is relevant to your services and does not distract the readers from the main message. This is another great option for requesting reviews from your clients if you have their phone numbers. Make sure you pay heed to the following guidelines while sending out review solicitation requests via SMS. The key to sending out effective review solicitation requests is to be extremely precise with your message or text copy. Keep your messages short, direct and meaningful. Remember to add a link to the review website where you want your clients to leave you a review. You can shorten or beautify the link using free tools like bitly. Remember that an SMS is a more personalized way of reaching out to your clients as compared to emails. So, you want to be sure that you select the appropriate timing for sending out your review solicitation SMS. You don’t want to be disturbing your clients by sending out messages late in the night or too early in the morning. Nobody likes spammers. Make sure that you do not abuse the SMS medium by sending out repeated and poorly spaced out review solicitation requests. A market study says that businesses should only send one text per week. Make sure that you follow these guidelines while sending out review solicitation requests for your business using SMS. This will ensure greater success in your purpose without the risk of being intrusive. A solid email & SMS strategy can prove to be very effective in soliciting customer feedback if they’re implemented in a timely manner. Include direct links to the review sites you care about most. Get a deeper insight into key areas of your business operations with custom surveys that ask only the questions that matter the most. G4H lets you include a review request within your customer survey so all survey respondents are given the option to write a review. Benefits: Run customer surveys for everything, including market research, employee engagement, customer experience. If you have an official website for your business, leverage it to its maximum potential. Make sure that you include a ‘customer reviews’ section on your website homepage so that whenever a customer visits your website with a business query, they see what your existing customers have to say about you. Anonymous reviews don’t do any good. Avoid them by all means. You can allow the clients to ‘sign in’ via their Google or Facebook account and write their reviews. Since most sites allow such sign in options, your clients won’t have a problem with it. This will also ensure that your review collection process is faster and includes a lesser number of steps. Provide links to your preferred review platforms on your website. You can also consider adding a short video of the reviewing process for customers so that there are no cases of confusion and your customers don’t have to read lengthy instructions. Another convenient way of asking for customer feedback is using social media. You can request your followers on social media to write an online review for your business through Facebook posts, tweets, and direct messages. For example, use Facebook posts to ask your followers to write you a review on your website or other online review sites, where your business is listed. When it comes to social media, it’s worth mentioning that Facebook has become all the more important as it includes a specific ‘review’ feature. By activating the Facebook review feature on your business page, you can make it very easy for your clients to write a review there. These reviews will be displayed on your Facebook page and will be visible to whoever visits you there. This is a great way to generate leads for your business as potential customers will decide to book a service with you if they read good Facebook reviews about your business. You can use surveys to solicit reviews from your customers. A well-designed customer survey will help you get honest answers and influence your customers to write a review. Send out online surveys to customers who have recently availed your business and find out about their first experience. G4H lets you automate the entire process of sending out review solicitation requests. Why does my business need Google reviews? The importance of Google reviews and how to get them. 90% of consumers read online reviews before visiting a business. While all reviews are important for a business, Google Reviews have the most impact because people turn to Google more than any other search engine or review site. 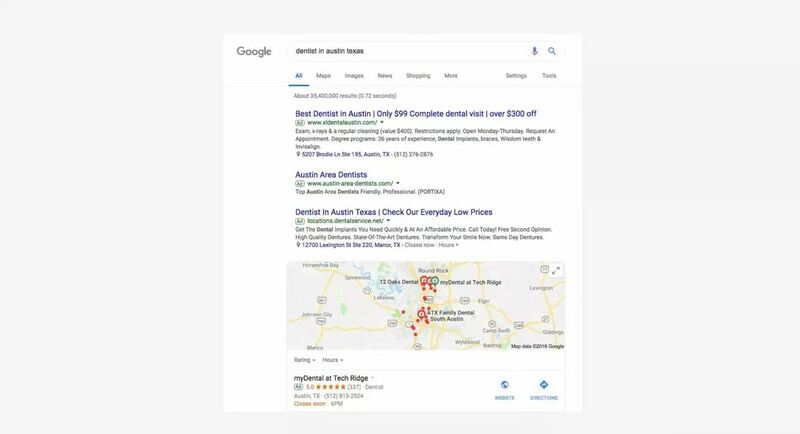 Google is often the first place consumers look when they are searching for almost anything - a dentist accepting new patients, a good restaurant for an anniversary dinner, or even the best place to get the car serviced. Google’s robust and ever-adapting search engine, maps, business listings, and reviews ensure that the searcher gets the information that he or she is looking for – information that is comprehensive, relevant and reliable. Google reviews follow the same stringent quality that all other Google products are known for. 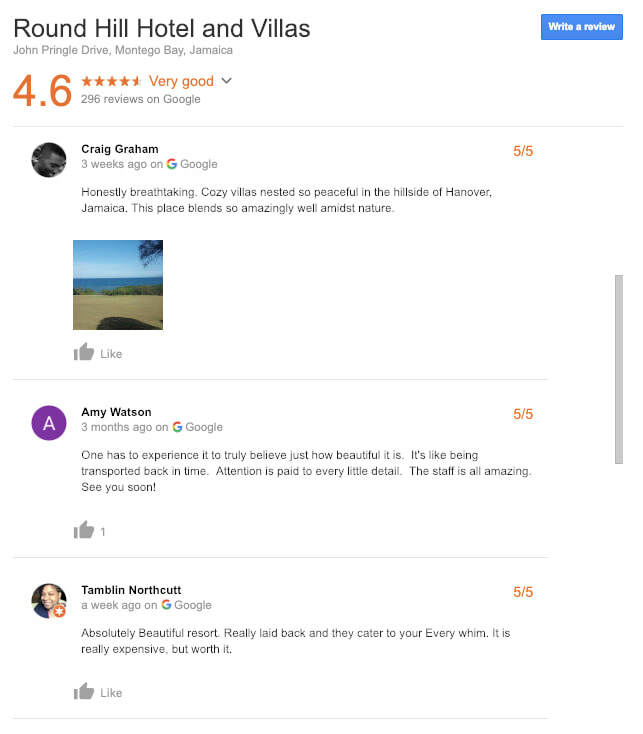 Bottom-line – Google reviews inspire trust! Local search ranking on Google (or SEO) is extremely important, especially if you have a brick-and-mortar store, or if your business provides a service to a certain locality. Your business needs to show up higher than your competitors’ if you want the customer to consider your business. Google trusts its review platform and factors it into your overall ranking on the search engine. Simply put, more Google reviews = better local search ranking. Obviously, the quality of reviews is important for showing potential customers they can trust your business. If your business shows up high on search rankings, you definitely need to look good in order for the customer to choose you. Of course, quantity matters as well. According to Brightlocal, top-ranking local businesses have an average of 47 Google reviews, while the typical business has around 39. The evidence is clear: More reviews help customers to discover your business. But that’s not all. Businesses need to seek out reviews frequently. The more recent the review, the more relevant it is to the customer. Research shows that 92% of customers consult online reviews before making a purchase decision while 44% of customers consider reviews older than a month irrelevant. Getting Google reviews for your business is actually quite simple once you have set everything up. The process really starts with claiming and setting up your Google My Business account. Once this is done, all you have to do is ask your customers to leave their feedback on Google. Let’s break it down into two easy-to-follow steps. Google My Business is a free tool that helps you manage how your business appears in Google Search and Google Maps. Using this tool ensures correct information is available to your customers and as a bonus, helps to boost your business in local search rankings. If your business has been around long enough, you can find your listing with a simple company name search. Once you find it, all you need to do is claim the profile. Google will send you a PIN to verify that you are actually the owner of the business. Most business owners choose to receive the PIN through mail, which takes a couple weeks depending on location. Email and phone verification are also available for select businesses. Now that your Google My Business account has been claimed, you can start adding information to your profile that will help more customers discover your business. Keeping accurate hours of operation, including holiday closures. Ability to publish offers and news (posts). These steps will go a long way to make your profile look complete and trustworthy to both customers and Google’s ranking algorithm. If you cannot locate your profile and have to create one from scratch, here is a quick guide to help you on how to setup Google my business page. Like everything else in the world, it’s about timing. Studies have confirmed that 70% of your customers will write you a review if you just ask them. We have found that the timing of these requests is just as important as making sure all customers get your request for feedback. Let’s say your client just got this gorgeous haircut that she absolutely loves. Now if you were to send her a request to write a review the very same day, there is a good chance that she will oblige. But the chances of her providing feedback will get significantly slimmer if you send this request a week or two after her visit. Ask all your customers for reviews. Make sure you ask all your customers for reviews - each one of them. Sometimes businesses like to cherry-pick their customers and request reviews selectively from only satisfied customers. This not only prevents you from getting well-rounded feedback on your business or services. but also impacts the number of reviews you get. In addition, Google does not support this type of review gating and recently updated its review guidelines to reflect this. Reviews are meant to describe authentic experiences from unbiased sources, so when you ‘gate’ reviews, they are no longer from unbiased sources. When you keep the process easy enough, compliance and returns will be higher. The process of getting reviews needs to be easy for you as well as for your customers. Make sure that you keep it easy for your customer to write a review. If you ask them to look for you online and then write a review, you are asking them to do a lot of work and you may not get the results that you are hoping for. There are two ways to make this process easier for the customer. If you are someone who prefers to do everything yourself, that’s great. All you need to do is look for the review link for your business on Google and send that to your customers via email or SMS. This makes it convenient for your customers to write a review by simply clicking on the link you send them. In reality, you have a business to run. Sending review requests to all your customers manually every day can be a time-consuming process Consequently, this all too important activity will at some point fall by the wayside in favor of other priorities. This is why we recommend that you automate the process of getting reviews. Let review generation be a part of what you do naturally as part of running your business like sending an invoice. A review generation software can take care of all this for you. G4H, for example, uses deep-linking to route customers directly to the Google review form in one click. This makes the process of writing a review even easier than not writing one - especially when the customer is happy with their experience and likes your business. G4H takes care of this process not just for Google reviews, but also any other third-party sites you want new reviews on. G4H is fully integrated with Google, so every step of the review collection process is automatic. In fact, G4H is one of the few companies who is integrated directly with Google's private API, which makes the collection process easier and review load times faster. You have reviews - now what? When your customers write a review for your business, they have invested time to encourage you or give you feedback. It is therefore only fair that you acknowledge that effort by ensuring that each of these reviews is responded to in a timely manner. In addition to acknowledging the customer for their input, your responses to these reviews also impact your SEO. If the volume of reviews is high, you may feel that responding to each and every review is cumbersome. At G4H, we believe that managing and responding to reviews is almost as important as getting them in the first place. Using G4H, business owners can conveniently respond to all reviews right from the dashboard. They can even set up rules to auto-post responses based on certain review criteria. Wondering how to write an impactful response to a review. Check out these cool positive review examples. Can I delete Google reviews? The fact of the matter is - all businesses are likely to get a negative review at some point or another. Negative reviews hurt. But remember they also offer insight into things you can improve. Responding tactfully to these negative reviews with a real promise to improve will help your business in the long run as it will demonstrate a commitment to taking customer feedback seriously. However, if the review is fake you can (and should) take action. Google will support you in case you have a solid reason to back your claim of a fake review. Whether your business is lacking an online presence or you have so many Google reviews that you don’t know how to manage them - G4H is here to help. Getting more Google reviews is just the first step. As new reviews start pouring in, you need a strategy in place to manage and respond to them in a timely manner to help you get new customers and retain the ones you already have. Click here to see how G4H can help your business be the best business. Are you ready to digitally transform your business, but you don’t know quite where to start? Well, you’ve come to the right place. Getting your business online is key but that is just the starting line and in reality, that’s closer to the warm-up. There is a lot to consider when trying to digitize your business, and it can be daunting. But you will be successful if you have a clear plan of execution. And we’re here to help you formulate that plan. According to Forbes, “Attracting a new customer costs your business six to seven times more than retaining an existing one.” So let’s focus on retention, starting with emailing your customers. Start simple, by emailing receipts so you can collect customer information for future efforts. You can even mention that you’re going “green”. There are a number of free options like Mailchimp to store emails to the cloud—enabling you to store a lot of protected data for quick and easy retrieval. This is going to give you the ability to reach out to past clients quickly and efficiently. You can send seasonal emails for your business or simply customer appreciation emails. And who doesn’t like to be loved back? The more personalized the email the better, this will show your appreciation. Birthday emails are also a nice way to keep in touch, again showing loyalty. Facebook is a quick and easy way to engage your customers online. The two biggest takeaways when it comes to social media is to be consistently present and engaged. Start with one post a day and measure engagement (likes/shares/comments). If people are engaging with your content, post more. Just make sure what you post is visually engaging, authentic and creative. If you’re a dentist, post before and after shots of a teeth whitening. If you run an auto dealership, post a picture of your swankiest car with the caption “Where is the first place you’d drive if you owned this car?” In other words, have fun! And make sure you respond to comments, otherwise, it may seem one-sided. A good mix of posts about your business and things related to what your customers might care about will be key. You don’t always want to make it about yourself and your business, try to be helpful or funny. If all else fails post puppy pictures, because who is going to be upset about a puppy? Noone, that’s who. Have you ever looked across the restaurant and seen a plate of something delicious? And have you ever followed that plate of deliciousness into a person’s mouth, only to be followed by a look of utter satisfaction on the consumer of that deliciousness’s face? And did this look on that someone else’s face make you want to order that delicious item even more? Well, that’s social proof. Do you also know what online reviews are good for? SEO. SEO is how your potential customers find you on search engines like Google. And SEO starts with your Google My Business page (if you don’t have one yet, click here). And every Google review you receive enables Google to see your business better. If Google sees your business, then prospects will see your business. And we all want that, right? Now get started on digitally transforming your business. Remember to start small, see what works, and if in doubt, puppies (and G4H) are always here to help. OK, one more, because the day of the week ends in Y.
It’s no secret that online reviews can be significant, but just how important are they to a marketing campaign? Can they really make or break a sale? Can the quantity or quality of the reviews you receive have that big of an impact on your company’s bottom line? The number of online consumers who read and trust online reviews is increasing. According to a survey by BrightLocal, 88 percent of consumers trust online reviews as much as a personal recommendation—which is astounding, considering most online reviews are posted by total strangers. The same survey found that only 12 percent of the population did not regularly read reviews for consumer products. 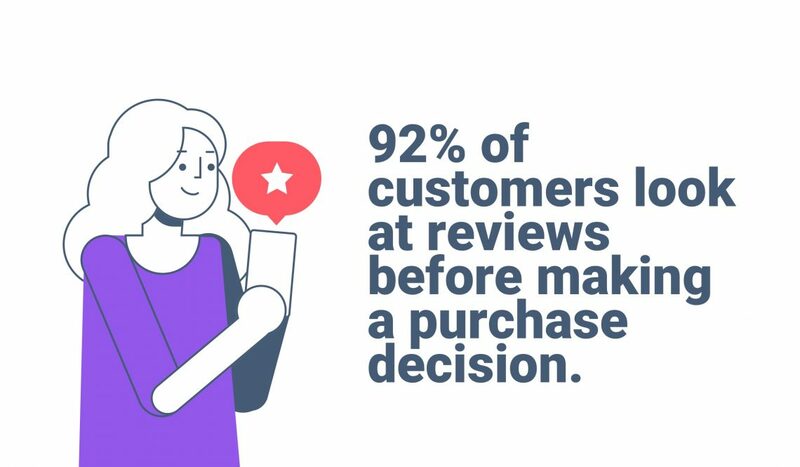 What this means is that not offering user reviews (or ignoring them as a potential marketing opportunity) is akin to alienating 88 percent of your buying population, depriving them of information they want to help them make their buying decisions. Enabling customer reviews on your site can have a positive effect on your company’s organic search rankings in search engines. For starters, each new review written about a product on your site increases the amount of unique content your site offers on that product, meaning you’ll be seen as having higher authority, more relevance, and, as such, a higher chance of getting those pages ranked. If that weren’t enough, there’s actually a way to microformat the reviews on your site so Google GOOGL +1.97% can index them directly and hold them as possible “rich answers” for user queries. Ostensibly, this would allow a review of your product to be featured above the fold of normal search results for queries specific to the product in question, giving you even more search visibility. The number of positive reviews you have on external websites might actually have a bigger impact on your rankings than the reviews on your own site. This is because Google’s local search algorithm incorporates data from a number of third-party directories and review sites, such as Yelp and TripAdvisor TRIP -1.2%. These sites tend to review entire businesses, rather than specific products, but this is what’s responsible for the higher impact. 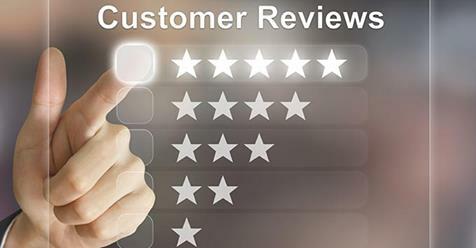 Rather than an aggregate review influencing a buyer’s decision regarding a single product, your business’s aggregate reviews could affect whether or not a consumer considers pursuing your brand in general. The more reviews you have on these sites, and the more positive they are, the higher chance you’ll have at ranking in Google’s local 3-pack, which is valuable regardless of whether you only operate locally or work on a national scale. Plus, some Google reviews could be included as “rich snippets” associated with your business directly. It’s also worth mentioning that the importance of online reviews is rising in almost every conceivable area. BrightLocal surveys indicate that the importance of consumer reviews to buying decisions is increasing every year. Google’s local SEO algorithm changes only seem to increase the weight of consumer reviews in visibility and rankings. Plus, new tools and technologies for consumer reviews, such as new review platforms and new mediums like video, are emerging and quickly becoming more common. User reviews are here to stay, and the longer you wait to start optimizing your reviews, the more you stand to lose. The simple answer to the questions I posed at the beginning of the article is yes, online reviews are tremendously important. Not only are they critically important to a vast majority of online shoppers, they’re also responsible for securing your online visibility in organic search rankings, and as they increase in importance and more competitors start doing more to encourage customer reviews, your involvement is only going to become more necessary. Thankfully, you don’t need any special training to encourage positive online reviews; in fact, getting things started is easy. All you’ll need to begin is a review function on your site, that's where we come in! We will create a custom review URL to drive reviews and claim presence on as many local review sites as possible. From there, it’s on you to encourage reviews however you can—it’s against the terms and conditions of Yelp and most other third-party directories to buy or even ask for reviews directly, but you can always indirectly influence review submissions by making your presence known (and making it easy for users to review you). From there, it’s all about taking action on negative reviews (with our negative experience capture form) and reinforcing positive ones. In a matter of months, you’ll have a wealth of reviews to work with and support your other online marketing campaigns. With G4H Consulting, you will be able to effectively handle these tasks and see the benefits of reputation management for yourself with the help of Review Lead software. To learn more, give us a call at (585) 755-0366, or schedule your review management consultation Here. 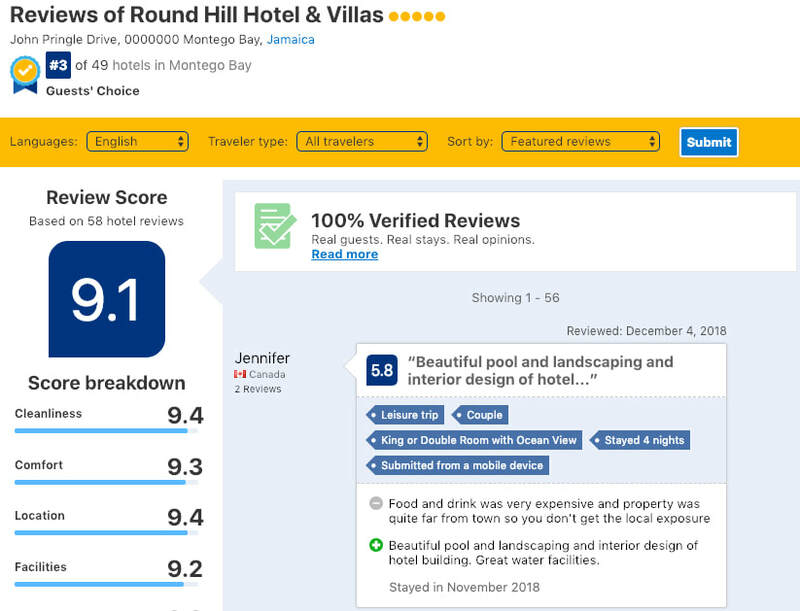 As a hotelier or tour operator, you know online reviews on hotel review sites are important to marketing your business. But do you know why? And do you know how online review monitoring and management can grow your business? Lastly, do you know what review sites you should be monitoring? Well, keep reading, we’ll cover all that and more. Online reviews can help you maximize RevPAR (Wall Street Journal), balance internal and OTA reservations, and minimize yield management discounts. But only when review management is integrated into each property’s 24-hour operation. Reviews: Everyone’s reading them, are you monitoring them? Various surveys show about 75-80% of all travelers read reviews before booking. As a result, you should be asking yourself: 1) What sites should I monitor? 2) What should my team do if our property is reviewed? Online review monitoring and management is a continuous process that has to be supported on every shift, every day of the year. Why? With global travel, it’s always today somewhere. Empower your staff and managers to monitor, read, and respond to your customers within minutes or hours. Do this by property, city, or region. Why? Speed matters and 89% of folks reading reviews also read responses. Develop a customer care game plan that includes a variety of messaging and service recovery responses. Why? Because we know you probably use very similar script when you are face-to-face with your customers. But it’s better to change things up and keep it fresh due to the ubiquity of online reviews. Develop excellence in online customer care including empathic responses and using online optimized service recovery best practices. Make sure your business information is up to date. Why? As a result of unclear info, your customers may get confused if they see different hours/addresses on various sites. Consequently, this will help search engines correctly identify your business as well. Ask your customers for reviews on a regular basis. Why? Because 40% of consumers only trust reviews written in the last three months. And most people value recent reviews over old ones. Finally, a higher review volume means both search engines and customers trust you more. ​As the world’s largest travel site, TripAdvisor, plays a huge role in where people decide to book a room or a tour. Why? Because every month, 415 million customers look through the site’s 535 million reviews of 7 million restaurants, hotels, and attractions to determine the best one. And this hotel review site gets 200 new contributions posted every hour (comScore, TripAdvisor). That’s a lot of user-generated content! As a result, TripAdvisor is a very critical portal for hospitality businesses. 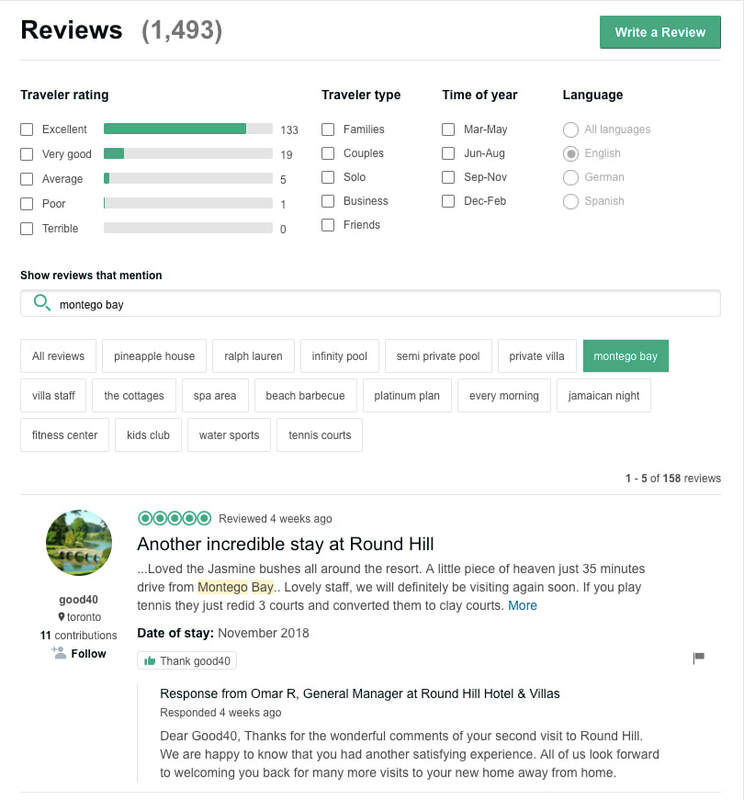 Your team needs to be aware of what is being said on TripAdvisor. And not only about your properties, but also for competitive properties, trending conversations about your destination, and even competitive destinations. ​Whenever you’re looking for any information online, Google is your go-to friend. Whether you’re searching for a hotel in Dallas, a tour of Washington D.C., or just the “the best thing to do near me,” the easiest thing-to-do is to just Google it. Google now offers airline pricing directly on their results pages, and we see more and more consumers Googling it before they plan and book their travel. And Google reviews show up on Google Maps and other Google sites. If you’re looking for a hotel near your customer’s office, a family member. or a convention center, Google Maps (with Google reviews) is the fastest way to see exactly how close a hotel actually is. ​Booking.com is a hotel review site that only accepts reviews from users who have verified bookings at that property. “The only way to leave a review is to first make a booking. 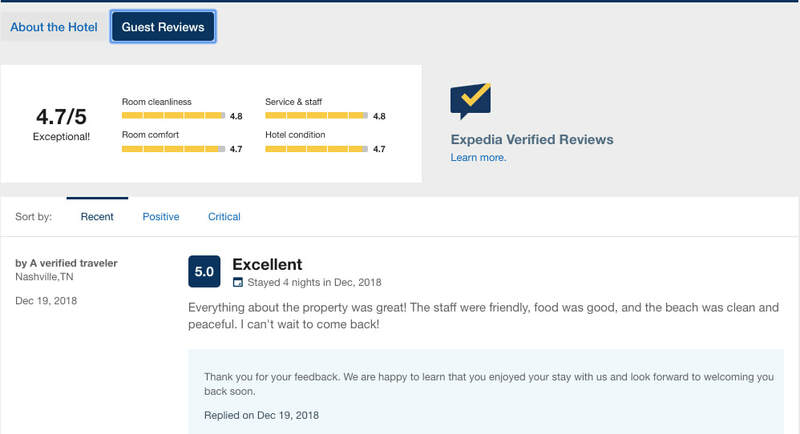 That’s how we know our reviews come from real guests who have stayed at the property.” Booking.com’s verified reviews add extra weight to the reviews on that site. Not only is booking.com a critical site to monitor, but it’s also a great place to ask your guests to review after their recent stay. ​Expedia is one of the oldest and largest Online Travel Agencies (OTA). After any guest stays at a property booked on Expedia, they automatically receive an e-mail invitation to submit a review. That covers any service or transportation booked through Expedia. Tour operators should note that this includes their “Things To Do” tool which highlights tours and activities by destination. Hipmunk is a travel booking site that incorporates consumer reviews as well as reviews from TripExpert. TripExpert uses “experts to provide meaningful ratings for hotels and attractions.” Hipmunk balances between consumer and expert reviews. Therefore, you should make sure that TripExpert isn’t echoing bad reviews from your customers. 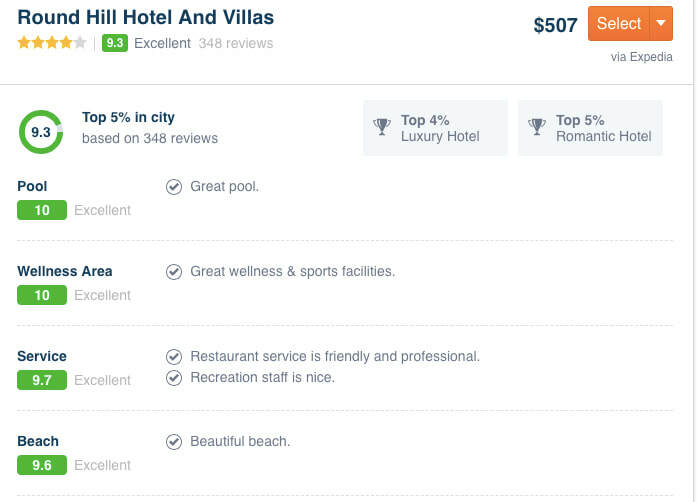 Why are these the top review sites for hospitality businesses? It’s important to get your customer reviews on hospitality review sites that prospective guests know about and visit. The more often a potential guest visits a hotel and tour review site, the more likely they are to read and post reviews there. Higher web traffic suggests that the site has lots of users. And this suggests that it would be quick and easy to leave a review—having no need to go through a lengthy registration process. 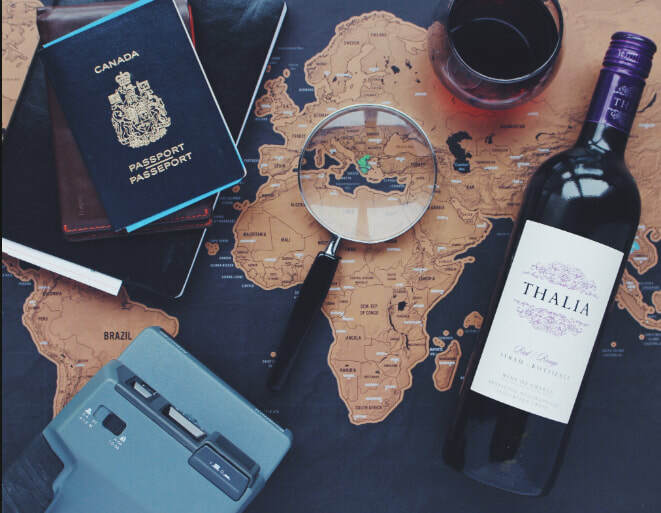 How can you get new (and fresh reviews) on top travel sites: There are several ways to collect more reviews from your guests, including manually sending follow-up emails, including links or codes on receipts, or in person. However, the most effective way to boost review volume is by automating the process with review management software. 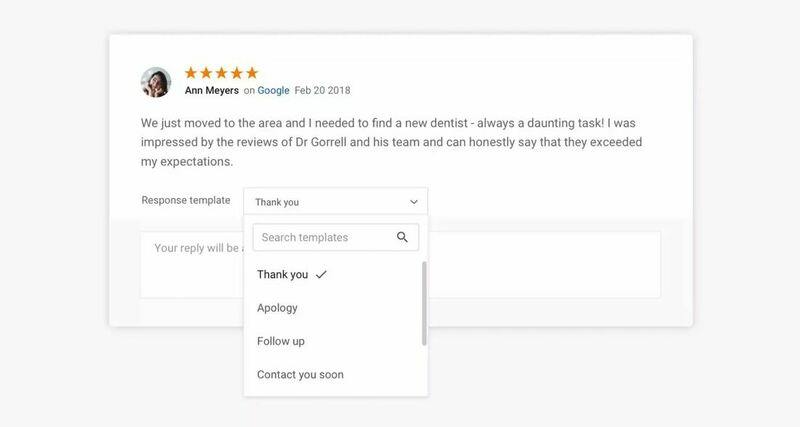 An automated solution lets you ask every client for feedback after their appointment and alerts you whenever you receive a new review. The bottom line for online hospitality: Reviews are only becoming more important in the hotel and tour industry. To dominate the local competition and earn prospective customers’ trust, you need a review management strategy in place. This will not only earn you a great online reputation. It will also help you understand your customers on a personal level so you can consistently exceed their expectations and keep your spot at the top. It’s a win-win. Now start monitoring and managing your online reviews. How can​ customer reviews drive a strong online reputation? Customer reviews also lower bounce rates. Since customers trust a customer review more than company posts, they will likely spend more time on review pages actually reading content rather than skimming for facts in formal business articles. Further, reviews will prompt readers to explore website to learn more about products and services mentioned by the reviewer. Longer time periods spent on your site with lower bounce rates leads to higher search engine rankings. With G4H Consulting, you will be able to effectively handle these tasks and see the benefits of reputation management for yourself with the help of Review Lead software. To learn more, give us a call at (585) 755-0366, or schedule your review management consultation on our website. If you’re just getting your business off the ground or you are only beginning to dive into digital marketing for an established business, then you may feel overwhelmed by the world of digital marketing and unsure of where to even start. However, digital marketing doesn’t have to be a foreign concept for your business for long. With this guide to the basics, you can get a digital campaign moving and work to keep a strong online presence for your business for years to come. You need a solid foundation for your digital presence, which begins with an optimized website, the framework of your company blog, and social media accounts. You’ll also need to manage your web presence on sites you don’t control, like local directories and review sites. Your Website – You need to have a website that’s informative, easy to navigate, and consistent with the products and services you offer. In addition, your website will serve as the basis of your brand’s tone, so you should dedicate some resources to your service pages and home page so that you can establish the messaging you want. Your Blog – It’s important to constantly publish new content to keep your website on the radar of your customers and search engines. Having a blog will let you do this and give you something to link back to when you update your social accounts to stay in touch with your target audienced. Your Social Accounts – Social media is no longer optional for businesses. Facebook and Instagram are the most popular sites for digital marketing, but you might also look to sites like LinkedIn, Snapchat, and Pinterest to boost your visibility and creative marketing opportunities. Your Directory Listings – Consistency across all websites is important, because you want your customers to get accurate information no matter how they find you. That means you need to claim directory and review site listings to make sure they’re accurate and up to date. This also helps you boost your search engine visibility. Many businesses make the mistake of thinking they can set and forget their digital marketing. While it does take a stronger effort to initially get your web presence established, you still need to regularly post content and interact with customers to keep your search engine ranking high and ensure a positive reputation. Increasingly, it is becoming more important to have an active presence online so that customers begin to associate a specific personality with your brand and have avenues for reaching or reviewing your company. Categorizing Your Content – The more content you put out there, the easier it is to become disorganized. This is where categorization is key. You should categorize your services and assign content to different areas to boost various sales opportunities. It’s also important to categorize each marketing campaign with a clear goal, so you can track and maintain it. For example, you might have one campaign directed towards improving sales of a specific product, while another is aimed at driving up followers on your social media accounts. Because these are two distinct goals with different consumer actions in mind, they will demand unique types of content and messaging. Keeping an Active Audience – No matter what your specific marketing goals are, you will want to plan to have ongoing interactions with your audience so that readers keep coming back to your social pages and websites—and so that potential customers see that you will actively reach out and respond to them as needed. This is where actions like posting engaging content on social media, responding to customer comments and questions, and creating new points of potential customer interaction on your website become essential. As you build a stronger web presence, you might see that more customers are responding by posting reviews of your business. Reviews are important to digital marketing, and they are another common pain point for businesses unfamiliar with the ins and outs of the digital landscape. However, with the right professional marketing services, it’s possible to guide the narrative of customer reviews by funneling them through customer support channels and responding kindly to any negative reviews that do find their way onto third party review sites. Now that you know some of the basics, it’s time to formulate a detailed marketing plan for your business. G4H Consulting can help you do just that with comprehensive solutions, including web design, social media marketing, local optimization, content creation, and review management. To learn more, visit us online or call (585) 733-0366.